Teams that make it deep into world tournaments are the ones that generally spend their preceding months building a squad and fine-tuning roles for big matches. Some teams even do that for years; as Eoin Morgan pointed out throughout England’s campaign, the sides that make it to the last four of World Cups are ones that have a squad where the majority of the players have at least 100 matches to their name. Pakistan, though, did not have such luxuries. It barely made it to the Champions Trophy in the first place; four days after it held on to its No. 8 ranking by the cut-off date, Pakistan lost to Zimbabwe and slipped to No. 9. If that loss had happened a few days earlier…. More recently, Pakistan had a bigger hurdle as it had to lift itself from No. 9 to guarantee automatic qualification for the World Cup. And to make matters worse, it also lost key players with little time to go for the Champions Trophy for different reasons. It meant no player in the squad apart from Shoaib Malik and Mohammad Hafeez had played 100 ODIs. In other words, not an ideal lead-up to a big tournament. No wonder then that even its captain stressed on the No. 8 ranking to play down expectations at the start of the tournament. 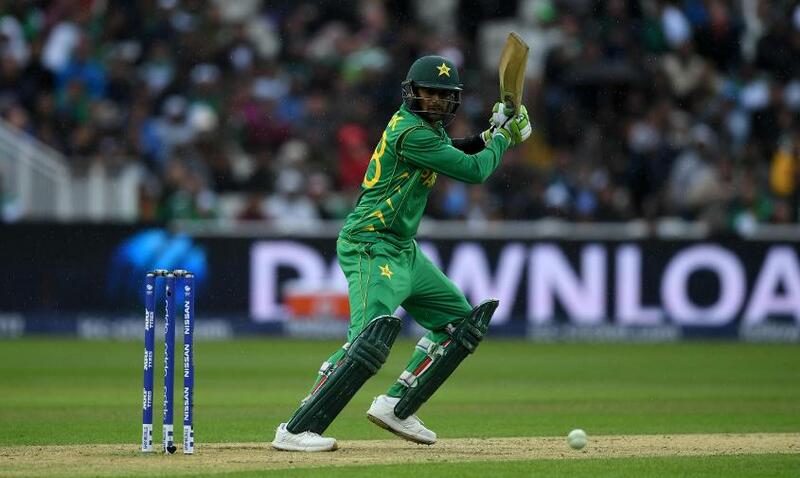 Shoaib Malik is one of only two players (the other being Mohammad Hafeez) to have played more than 100 ODIs for Pakistan ahead of the Champions Trophy. But fast forward a couple of weeks, and here it is, one victory away from winning the tournament. Over the period, it has felled the world No. 1 side and also destroyed the host nation and tournament favourite in the most clinical fashion possible. To put the dream run down to Pakistan’s unpredictability won’t be wrong, but it won’t be complete either. Pakistan is here because it trusted its youngsters. Pakistan is here despite its senior-most players, Malik and Hafeez, contributing little. Here’s interesting trivia: There have been three debutants in the tournament so far, and all of them have been from Pakistan – Fakhar Zaman, Fahim Ashraf, Rumman Raees. More importantly, Pakistan learned its lessons quickly. It started the campaign on a conservative note with Wahab Riaz and Ahmed Shehzad in the XI, seemingly to handle the ‘big match’ pressure of playing India. Since then, Pakistan has had one debutant for each of the next three games, and each one has contributed. Zaman has scores of 31, 50 and 57 in his three matches. Ashraf bagged two wickets against Sri Lanka, the only match he played. Raees did the same when his turn came in the big semifinal against England. 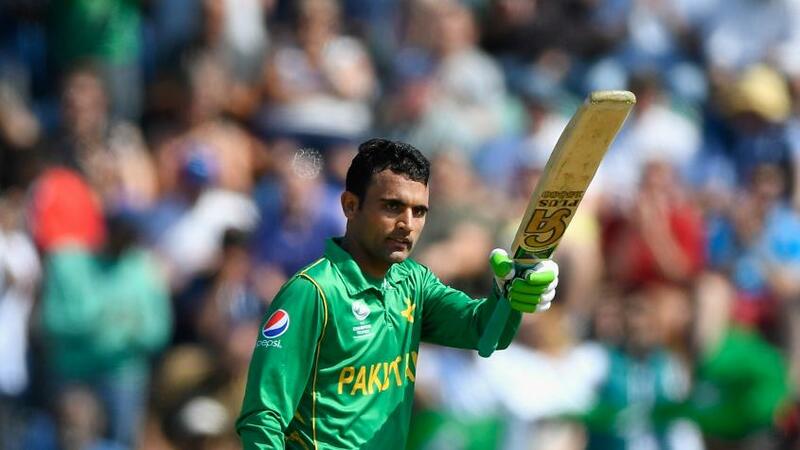 Fakhar Zaman, one of Pakistan's three debutants this tournament, has scores of 31, 50 and 57 in his three matches. Importantly, each one of them filled in for important roles. Zaman was brought in to give Pakistan quick starts and he has batted at a strike-rate in excess of 117. It wasn’t even his natural style, but he adapted because his team needed it. Raees didn’t know until an hour before the game that he would play. He got a chance only because Mohammad Amir was down with back spasms, but grabbed the opportunity with terrific bowling. Now, Pakistan is confident Amir will not be missed even if he’s not ready for the final, because it has Raees. Also because it has another pacer, all of 23 years old, on a rampage. Hassan Ali is the leading wicket-taker of the tournament with ten scalps. 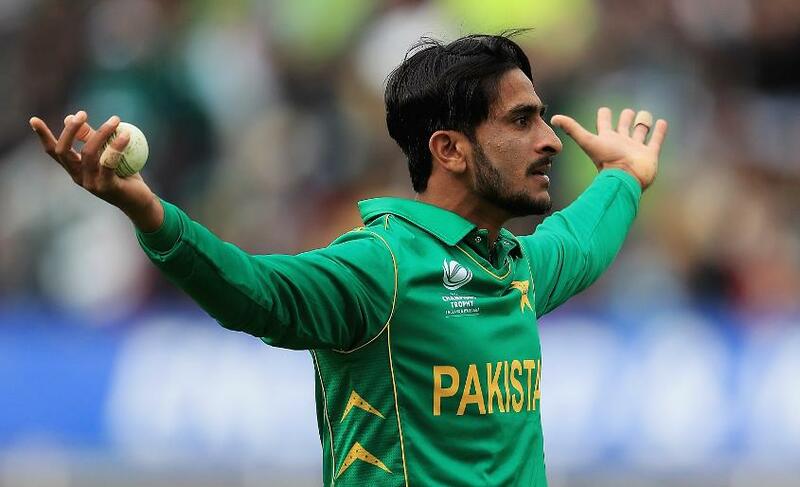 His fortunes in the tournament have mirrored his side’s; Hasan started poorly against India, leaking runs and dropping catches, but once he raised his game, so did Pakistan. And it wasn’t just coincidence. Hassan came into the tournament with just 16 ODIs to his name but has been the go-to bowler for breaking partnerships. On small grounds and batsmen-friendly pitches, the only way to stop teams is through wickets. Hassan has done just that, in the most crucial phases of the game. Six of his ten wickets have come between overs 11 and 40. The other four have come in the death. “I think the youngsters have been great. They've come in with no fear of failure,” said Mickey Arthur. “They've come in committed to the way we want to play our cricket. Every one of the youngsters that have come in have come in and made an impact straightaway. That's a real confirmer for us. They've been outstanding. The youngsters’ show is no sudden development either. After Pakistan’s clinical victory over England in the semifinal, Kevin Pietersen pointed out on Twitter that the result was no surprise because it has its own “super successful T20 tournament”. Pietersen was referring to the Pakistan Super League, which has helped Pakistan catch up with other teams in limited-overs cricket. It’s no surprise that Zaman, Hassan and also Shadab Khan, the 18-year-old legspinner, were successful in PSL 2016-17. “The exposure to high-pressure situations is what India have had above Pakistan,” Arthur said when asked about the difference between the sides in such games. “The PCB have changed that a little bit now with the PSL, which has been a very, very successful competition. So that exposes more and more young players to pressure situations, and I think the more we can expose our guys to those situations, the better results we get out on the ground. Hasan is 23. Zaman is 27. Babar Azam, the team’s most exciting batsman, is just 22. The wily leggie Shadab is 18. Its oldest pacer is Junaid Khan at 27. Pakistan might or might not go back home with the Champions Trophy. But it definitely will return with hopes for a bright future.